There was an interesting custom in Korea where after moving into a new home, you would order delivery from Korean-style Chinese restaurants (중국집) and eat jajangmyeon. Due to my dad’s job relocating every couple of years, these big transitions in my younger days as we moved into a new house was filled with bit of excitement, fear of the unknown, and of course… jajangmyeon. 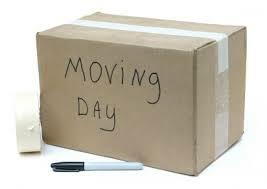 The exact origin of the custom is not clear, but one theory that seems to make sense is how just after moving, the kitchen isn’t really ready for use what with cutleries and dishes still wrapped in boxes and all. And apparently, there weren’t that many places that did delivery back then (which is hard to imagine in present day Korea with its super extensive food delivery service). Regardless of how it came to be, it was a custom I was happy to go along with. And after coming to Canada, I’m also happy to be reunited with this unique dish, right inside Toronto. 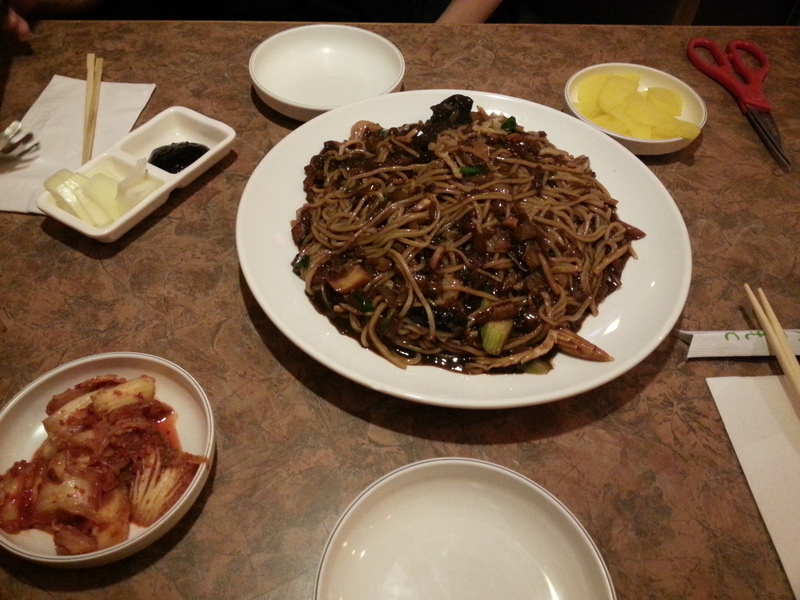 As you might have guessed, today’s posting is about jajangmyeon. Interestingly enough, many of the dishes I plan to cover (including Tteokbokki) has a bit of serious and dramatic history behind them. Which is odd, since I first chose these dishes not because I knew about this historic aspects, but purely because I enjoyed eating them. The name of jajangmyeon is a combination of jajang/짜장 which means ‘fried chunjang’ (춘장 – fermented black bean paste), and myeon/면 (noodles). 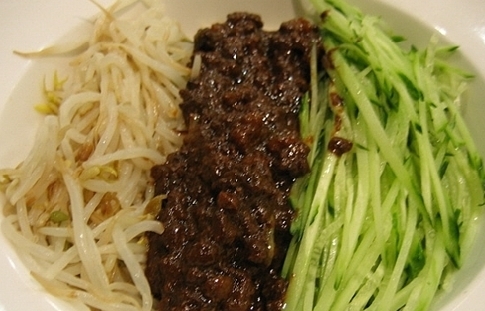 Naver’s dictionary translates it as ‘black-bean-sauce noodles’, while the Korean encyclopedia defines it as “noodle dish mixed with meat and Chinese soy-bean paste.” As the encyclopedia states, jajangmyeon was originally a Chinese dish, a lower-class household food from China’s Shandong province. During the first Sino-Japanese War, China brought young men from Shandong province into Korea’s port city Incheon as labourers, to handle war supplies close to the battlefield. After losing the war to Japan, the army made quick retreat back to China while leaving behind the Shandong province labourers in Incheon. As this was an era where human rights or cooperation between countries was not active as it is today, these young men were left to survive in this foreign country, and speaks a foreign language. In order to make ends meet, they would go from various manual labour jobs in the port. 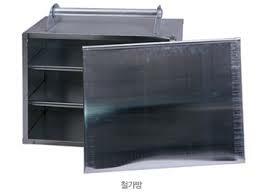 But the food available such as kimchi (김치) or doenjang stew(된장찌개 – bean paste stew was not something they were used to, and although they despserately wanted to return home, they couldn’t afford the ship ticket, let alone go as a stow-away (which was also costly). The story goes that an overseas Chinese, feeling sorry for these labourers, ended up serving noodle dish in a style similar to back home at a market stall. The young labourers from China enjoyed the nostalgic noodle dish with tears, and news of this food began to spread amongst Korean labourers that worked with them. And with time, this Chinese noodle dish has undergone transformations to fit the Korean taste buds, into the present day form of jajangmyeon which we enjoy today. The Korean style jajangmyeon has added lots of onions and meat to add more sweetness and flavour, and also uses less fermented chunjang sauce while adding caramel to the sauce to add colouring and flavours to the sauce. 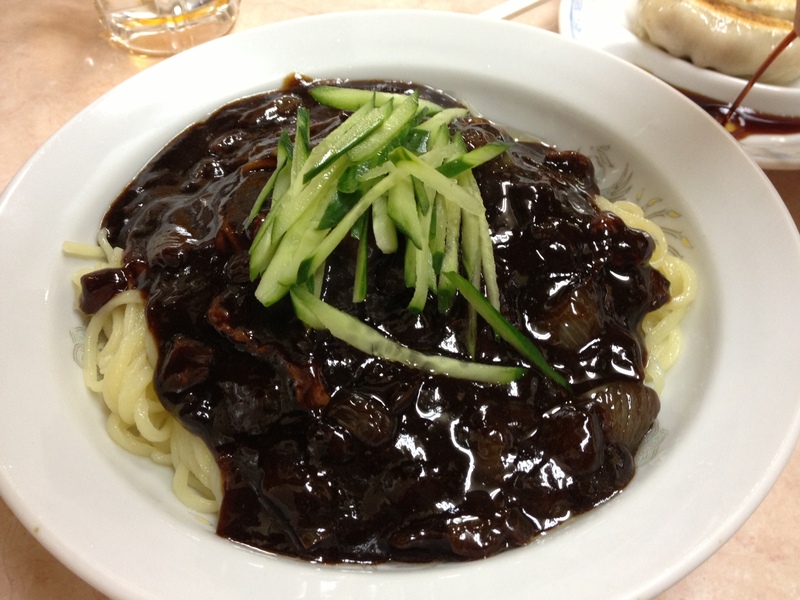 Now days, jajangmyeon has taken firm roots in Korean food culture as a ‘traditional’ Korean dish. Apparently Korea consumes about 1,500,000 dishes a day. That’s about half of entire population in Toronto (2.79 million residing) eating jajangmyeon everyday! With this in mind, here’s a recommendation to a Korean-style Chinese restaurant (중국집) in Toronto that I’m a regular at. 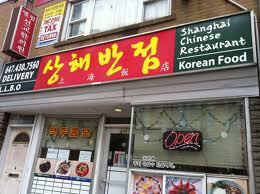 The restaurant is called Shanghai Chinese Resturant (상해반점), located near Finch station in the ‘new Korea town’ area. Whenever me and my friends are craving some jajangmyeon (whether at home or when we are out), we turn to this place. Here’s my review. For a group of more than two people, getting either the combos or family jajangmyeon is a great. Here are some items I get often. Friend of mine recently moved to a new rent house, and although we weren’t trying to follow the custom mentioned at the beginning of this post, we ended up going to eat jajangmyeon at 상해반점. Whether you just recently moved somewhere in the North York area, or just in the mood for some ‘Korean’ dish, try out the place. 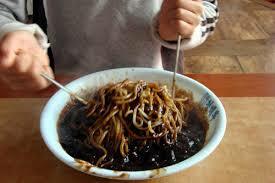 That’s it for today’s posting about jajangmyeon. Until my next posting, bon appétit! I used to like tangsooyook more than 짜장면! much about its financial aspect. Also consider how well the package can interact with other software you use. During week two of the maintenance diet you will start to add some “caution foods”.